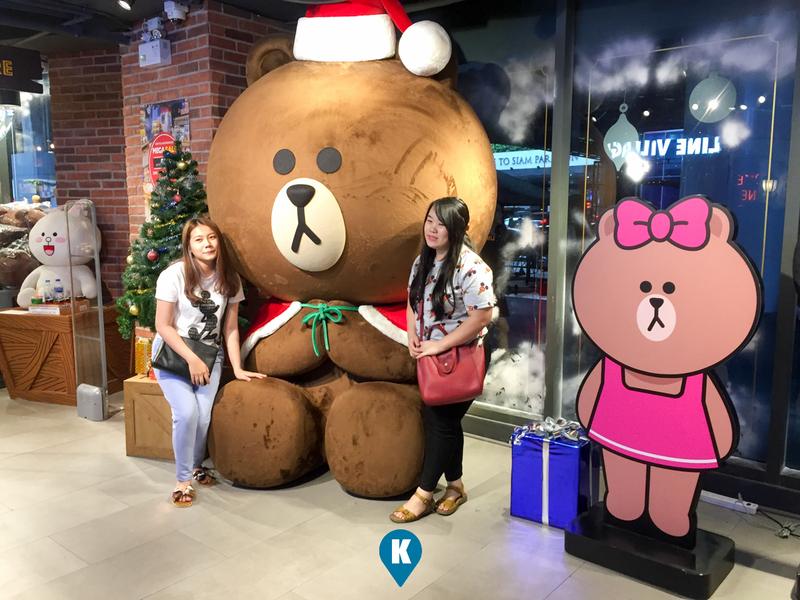 We felt like kids again when we saw the characters of the famous Line app in Bangkok. 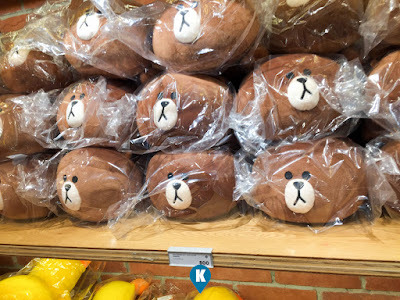 Who wouldn't be excited to see Brown, Cony, Sally, Choco, Moon, Jessica and others in the flesh? I mean they are in figurines, plushies, novelty items, pillows, statues and the likes. We love the Line app as we use it among our family as a way of communicating. Offering free calls and messaging for its users, its so convenient to use and easy. It carries a lot of stickers as well to jazz up your chat and the characters are the main reason why we liked chatting with each other. 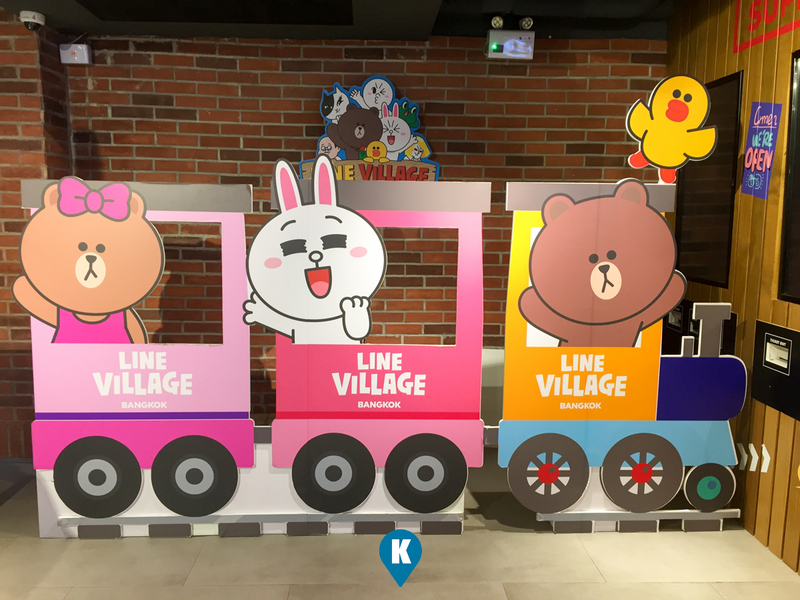 Now the popular characters are within reach to their fans through the opening of Line Village in Bangkok. Locals and tourists alike flock to this place and enjoy a digital theme park that are based upon your beloved characters. Located within the mall Siam Square One (actually it has its own entrance separate from the mall) ground floor, its just beneath the Siam BTS station. 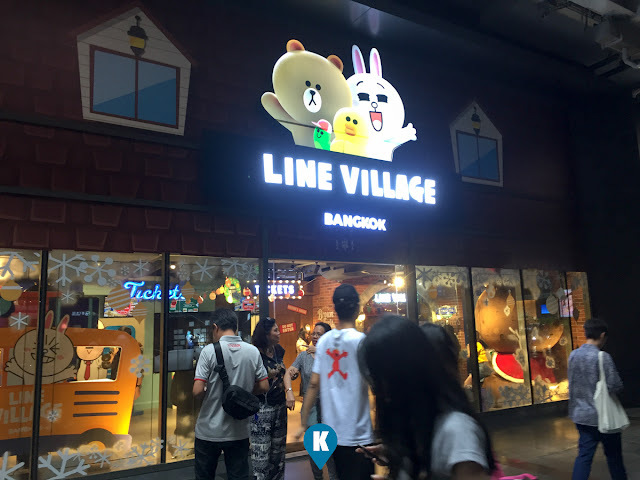 Don't go in the mall entrance, simply get down from the station and you will find its door to the world of Line Village Bangkok. Entrance fees to Non-Thailand amounts to THB990. (Tip - check out Klook prices as they offer lower than their gate prices. To know more about the famous Line Village in Bangkok, visit their facebook page here.